Ray Petro is a man who needs no introduction for those in the cycling community. Ray is the founder, designer and owner of the world's first indoor mountain bike park (Ray's Indoor MTB Park) in Cleveland Ohio. 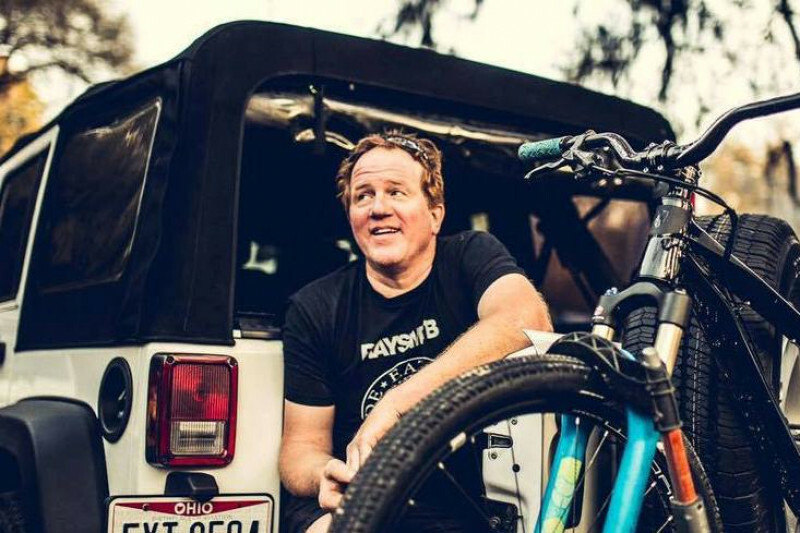 Ray's passion for mountain biking was the key to overcoming his battle with addiction. By creating the park, Ray found a place to pour out his passionate drive year-round and provide a place to share a sport he loves so much. Over the past 15 years Ray has provided so much to the cycling community both regionally and nationally. Ray transformed a forgotten factory into an epic all-season riding destination for riders all over the world. It's a place where children have taken their first pedal strokes and professionals have honed world class riding skills. The park hosts unique competitions and events in mtb and bmx, directly supports efforts toward regional mtb trails and continues to help grow the female contingent thorough annual exclusive women's events. In short, the word “Ray's” means “fun” to riders around the globe. Ray Petro's contributions certainly aren't limited to indoor riding. Once the indoor park was well established, he commenced pursuits of taking his building skills outdoors to Santos trails in Ocala, Florida. For the past five years, Ray has been developing those trails with his unique style, in conjunction with the regional mountain bike club. We don't always get the opportunity to give back to someone who has given us so much. Here is how we can say thanks to Ray for all he's given us and support a fellow rider who's taken a fall. While mountain biking outdoors on the trails of Royal View Park in Cleveland in September, Ray lost control of the front end of his bike in some leaves and crashed into a tree. He'd laid face down, unable to move and unable to catch his breath for about 15 minutes when a jogger found him. When Ray awoke in the hospital, he learned that he'd suffered life-altering injuries including two broken neck vertebrae (C5 and 6) that were surgically stabilized. Ray is working hard to breathe without the use of a ventilator and is starting to regain some feeling in his extremities. He has started physical therapy but it will be a long journey that begins with getting his voice and lungs back, while working toward regaining as much mobility as possible. With a lot of work, he plans to get back to some sense of normalcy. Ray will face many mentally and physically demanding challenges that, simply put, will be expensive. Nerves are the slowest part of the body to heal and it will happen over months and years. Ray’s insurance and state support will be very helpful, but they only go so far. Your contribution will help Ray get the rehabilitation he needs along with the adaptations such as equipment and remodeling that will help him to get situated at home once he is out of the hospital. Ray has given the riding community so much and he will do more great things in his future with our help. It’s time for us to rally. I've organized this campaign in conjunction with Ray's good friend Jeff Lenosky and with assistance from Ray's dedicated sister, Ricci. I'm so thankful to Ray for the truly awesome impact he has had on my life. He probably doesn't really know what an impact he's had in my life or yours. Please take a moment to tell him here! Ray will be the sole beneficiary of these funds to help with his recovery, through a trust set up in his name. Every contribution will help! Season's Greetings fellow bike enthusiasts and friends! I want to take a moment to let you know that we are still here in this fundraising campaign, going strong! We are nearly half way to our goal of 150K to help Ray Petro in his continued recovery, rehab and making the best of his new lifestyle. Ray has had many gains and many set backs in the last 15 months since his injury. The progress continues, as it's a long road. For now, I want to make sure you all know that every singe donation of and word of support has been enormously appreciated by Ray, his family and me. I hope we can keep them coming: please share/ re-share and encourage others to do the same! Great news- Ray moved home yesterday! He’s doing well, happy to be home and healing is still underway. In some ways, this is just the beginning. Your support is a huge help to him—-Thank you!!!! I can’t THANK YOU all enough for the overwhelming amount of donations! I’ve been able to start using the donations to purchase needed medical equipment for my home (hospital bed, BP monitor, shower equipment, etc.). THANK YOU for all the donations! My quality of life will be so much better because of all of you! All things considered I am doing pretty well. My voice is back in full swing and I have started to get some little areas of feeling again in my lower torso and chest. Typically recovery from this type injury takes about 2 years, so it’s encouraging that I may be able to pull this one off! I will probably be leaving the hospital in a couple weeks and heading to a Skilled Nursing Facility before transitioning back home. Thanks again for all your donations, words of encouragement, positive healing vibes and prayers.